The new Volvo XC90 isn’t even on sale yet, but Volvo has told Digital Trends that by 2018 it will be the oldest car it sells. This means the Swedish automaker will unveil as many as seven new cars over the next three years. Volvo has had a busy year, first releasing its all new Drive-E engine family, and going on to unveil its most important car of the decade: the new XC90. However, ask the folks at Volvo, and they will say the company is just getting started. The reason for this bold statement is that by the beginning of 2018 the newly-unveiled XC90 will be the oldest car the company sells. What this means is that over the next three and a half years, Volvo will debut seven or more completely new major models. This pace of two brand new cars a year is essentially unprecedented for an automaker of Volvo’s size … or, really, any size. Volvo’s existing flagships, the S80 and first-gen XC90 are almost old enough to vote. This incredible pace is made possible by two key technologies: the Drive-E engine family and the development of a new scalable architecture. 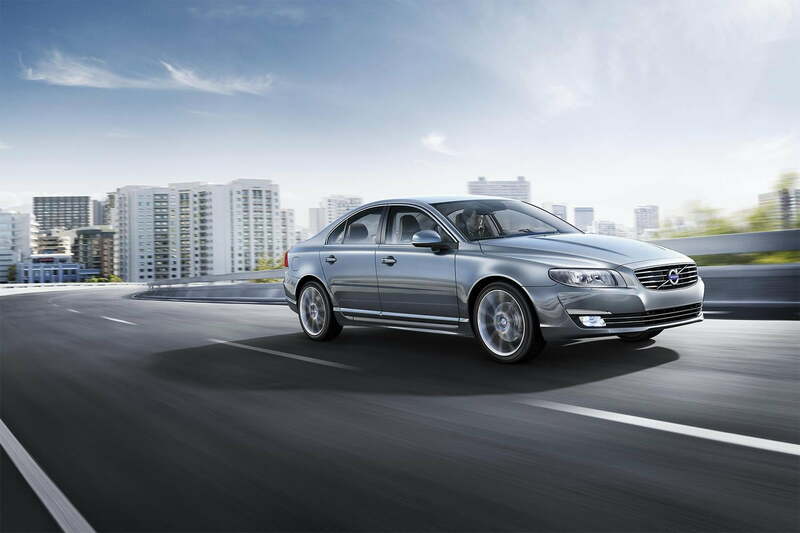 These underpinnings will allow Volvo to quickly adapt to different markets and designs. Volvo hasn’t revealed a complete rundown of its new cars, but, based on conversations we have had with Volvo executives and the company’s existing model lineup, we can make some educated guesses. So without further ado, the future of Volvo and Swedish cars. Volvo’s existing flagships, the S80 and firt-gen XC90 are almost old enough to vote. With that in mind, Volvo is giving them the axe before they can legally object. Correspondingly, Volvo is sending its all-new XC90 in 2015. According to Volvo’s head of the Large Cars line Dennis Nobelius, a replacement for the S80 is next up. Dubbed the S90, Volvo’s new flagship will come as a sedan and as a V90 wagon. From talking with Volvo’s engineers on visits to Sweden, it appears that its styling will be a near carbon copy of the gorgeous Concept Estate. As Volvo’s flagship alongside the XC90 SUV, we can expect the S90 to come packing a range-topping T8 plug-in hybrid powertrain, which should make at least 450 horsepower and could deliver as many as 500. Flagship cars are all well and good, but the meat of Volvo’s sales come from its mid-size sedans and crossovers. The current S60 and XC60 aren’t nearly as old as the range-topping S80 and XC90, but they are based on older platforms carried over from Ford. Volvo isn’t all that satisfied with those platforms co-developed with Ford. In our conversations with Volvo engineers like Henrik Ljungvist, the program manager for body structure on the XC90, we learned that Volvo isn’t all that satisfied with those platforms co-developed with Ford. Now that the first car built on Volvo’s Scalable Product Architecture (SPA), the XC90, is about to start rolling off the production line, I can imagine that Volvo’s engineers are eager to underpin its volume sellers with the SPA platform. Still, this is a big project, as the 60 range will include an S60 sedan, a V60 wagon, and an XC60 crossover, with the potential of a A5- and 4 Series-fighting coupe based on Volvo’s Concept Coupe. These are probably the most important vehicles in Volvo’s product rollout and they may not happen until 2017. 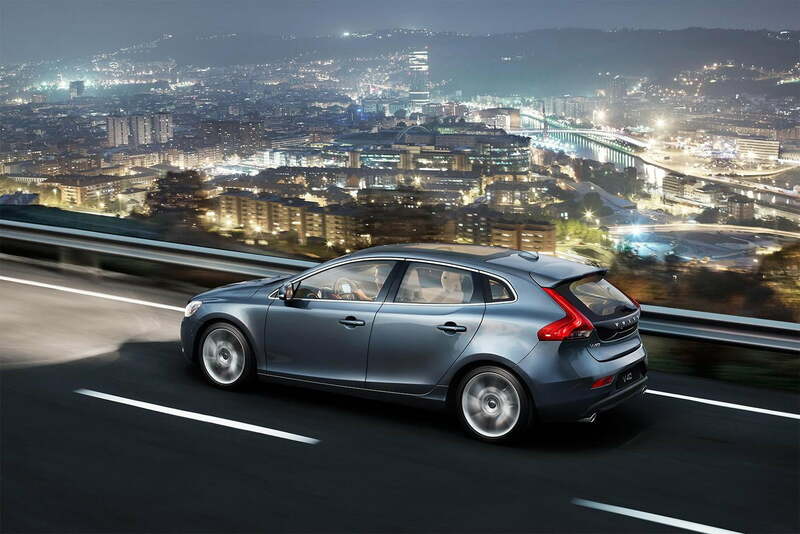 The Volvo V40 may not be a familiar sight to Americans, but we are the exception. Volvo’s smallest car, a beautifully styled five-door hatch, has been a hit in most Volvo markets around the world, especially Europe. But like the S60 and XC60, the V40 is on an older Ford platform, shared with the Focus. The new V40 will get its own distinct platform that will be shared with Volvo’s Chinese parent company Geely. This rapidly growing Chinese automaker bought Volvo in part to get help developing its next generation of cars. So, while the V40 and its stablemates may not be the most important profit center for Volvo, expect to see this development take a high priority for Geely’s sake. Fortunately, Americans should not only be getting the next generation V40 on our fair shores, but also likely a few other products built on its platform. Expect to see a small sedan along the lines of the Audi A3 for wagon wary American buyers as well as an entry for the exploding luxury compact crossover market. No automaker can claim that each of its vehicles represents the latest and greatest technology of which it is capable. And nearly every company has a few holdover vehicles that languish for years without significant change. Right now Volvo is very much one of those companies. If Volvo is able to stick to its plan, it will need to follow to a schedule almost without precedent. The new XC90 goes on sale in 2015. If Volvo is going to make its goal, that will mean releasing the new S90 family by early 2016. Following that, the S60 and XC60 will have to arrive in 2017. And the 40-series cars, new platform and all, will have to be ready by the start of 2018. Assuming Volvo makes it, it will be able to boast something no other automaker can: a stable that really is nothing but the latest and greatest. This will be by no means easy. Even if it is successful, those products still have to be good. We can’t know the answer to either of those questions yet. However, from what we have seen thus far, Volvo is committed to doing this the right way.